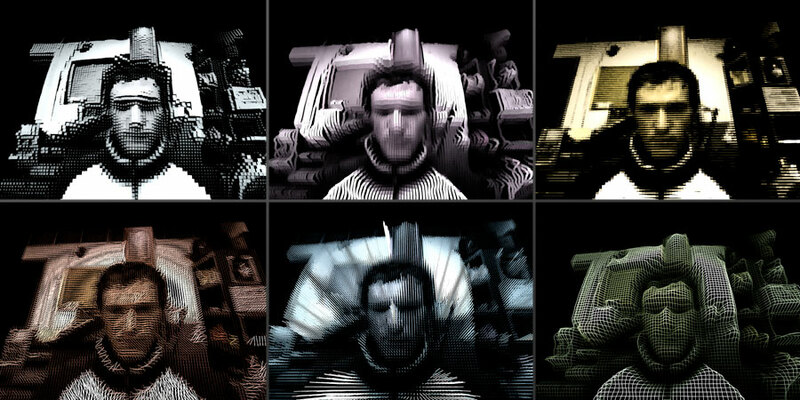 i’m showing a new version of elastotron at pecha kucha tonight, and then all summer as part of the exploratorium’s “reflections” show, from 19 june through 20 september. we’re having a small opening friday night from 5:30-8:30pm. let me know if you want to come by, as the doors are not open to the public. We’d like to invite you to spend some time at a new exhibition: Reflections, opening in the Seeing area one week from today. This special summer collection combines new and reimagined exhibits, art installations, and programs and special events. But more than a simple celebration of mirrors, Reflections was designed to present a range of perspectives on that most familiar and yet most provocative of images: our own visages—abstracted, distorted, fragmented, and multiplied. In addition to highlighting the science of bouncing beams of light, Reflections is about identity, expectation, technology, and our complex relationship with ourselves. Reflections includes new takes on classic Exploratorium exhibits, but the project team has also created several unique and powerful experiences especially for this exhibition. In addition, the Seeing Gallery will house a set of intriguing interactive works from visiting artist Daniel Rozin. These experiences will be complemented by a series of programs and events exploring mirrors, optics, and the ephemeral nature of light. To learn more about the exhibition, visit www.exploratorium.edu/reflections.